Lets face it – ‘It’ happens. You get called into a conference room. You boss is sitting there with a sombre face, so is the lady from HR. Maybe you saw it coming or maybe you didn’t. Bottom line, you are out of a job! It doesn’t matter if George Clooney delivered the message to you or not – this is the end of your daily routine as you knew it. In India there (unfortunately) continues to be a stigma attached to losing one’s job. You resign and you are a hero – “showing the big bad management who is boss”, you get terminated and suddenly you are persona-non-grata! You can’t do much about the social dynamics, but what you can do is go about finding a new (hopefully better) job without falling apart. The journey from the time you were handed over your termination notice (in whatever colour of paper) to the time you get an appointment letter can be short and painless or long, drawn out and depressing – the choice is entirely yours. I call it the 4C process. Contextualize: Take some time out and put the situation in context. Try and understand why you were asked to leave. Maybe the entire department was made redundant or an entire product line was shut down, and there was nothing you could do about it. Maybe the company ran out of funds for future research and all it needed was people to man the call-centers leaving no room for a hot-shot engineer. Or then again maybe it was you. 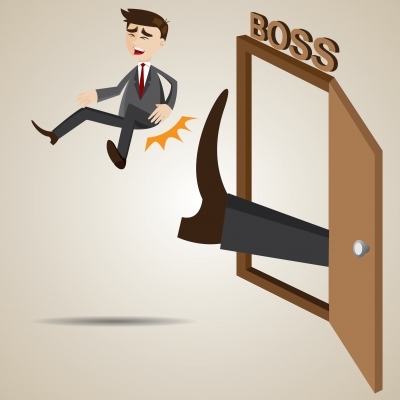 Possibly you were in the wrong position, you didn’t quite enjoy what you were doing and that eventually showed or in an extreme case your boss just didn’t like you and he screwed you over. Bottom line is: get over the initial pain and impulse to lash out and think it through. Logout of your twitter and facebook accounts for a few days. Lashing out at your (now former) employers on social media is the worst thing you could do. Talk to your closest friends and take your family into confidence. Correct: Once you figure out what went wrong, accept it and move quickly to fix it. If you conclude that there was nothing much you could do in the first place (CEO went on an acquisition spree and company ran out of cash) then there might be little for you to change right away other than read the papers in the future and get out of the company in time. On the other hand if you think you need to reskill – either in your domain or in soft skills – do it! Go attend a few coaching sessions, read a few books, watch videos, ask your friends and family to help you out. An important aspect to correct at this point is your own perception of ‘limitations’ – You can only work in IT, you can only work in an office, you can only work in Mumbai. Ask yourself why – brutally! You have worked only in IT in the past. So what? You are sales professional! You can only work in an office? Why? Telecommuting is the least stressful way of working. You can work only in Mumbai? Are those friends whom you think you will miss looking for a job as well? Take your personal “Only” list and tear into it! 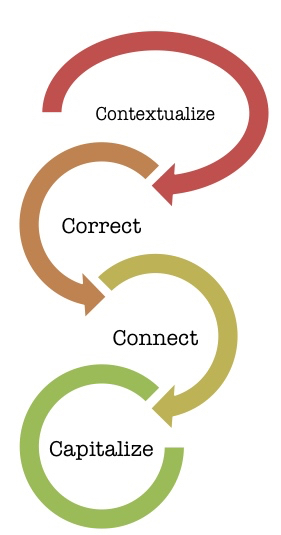 Connect: Once you have done the first two stages diligently and honestly, you are now ready to hit the job market. Logon to your social media accounts especially LinkedIn and carefully craft your profile. This is a good time to not indulge in loose talk, stay away from commenting on controversial topics and keep focused. Companies are looking for professionals not loose canons. Get your profile (and posts) checked by someone you know has good language skills – typos and bad grammar are big killers in a job search! Be upfront with your friends and connections (without being desperate and pushy) and ask them for help in scouting for openings. Add the new skills you have acquired. Start posting or blogging about topics you want to be known as being good at. Contribute to forums and online discussions. Take up part-time roles/projects. Freelance. But don’t do nothing and just spam everyone with your resume’ – that approach as they say is #BigFail! Research companies you would like to work for figure out positions that may open that those firms and apply. This might be a good time to take a contrarian view and look at dynamic young start-ups where your skills are useful. Avoid the parental trap of “secure job in a big company” – there is no such thing anymore. Flipkart was not offering a ‘secure job’ in a ‘big company’ in 2008! Now this stage might drag on for some time – much longer than you expected. Be mentally prepared and don’t lose your cool and your manners. If someone sets up an interview for you and you don’t get the job, have the courtesy to still thank your friend for the effort. An important aside is to avoid getting bogged down. Exercise, stay connected with your friends, and socialize to ensure that you don’t go into a ‘cave’ overwhelmed with the job search process. Capitalize: Finally you see light at the end of the tunnel – People are looking at your LinkedIn profile and possibly job offer(s) are already coming your way. This is the time to (again) take a deep breath and capitalize on your experiences. Maybe you don’t like political bosses and the next one seems just the type. Do you really want to take up the offer? You might be tempted to capitulate depending on your personal circumstances, but don’t let EMI’s drive your decision. Would you take that job if you didn’t have to pay the EMI for your fancy car? Do you really need that car right now? You might need to go back to the ‘Contextualize’ and ‘Correct’ stages and take another look at your drivers for taking up the new job. Getting terminated is not the end of the world. It is a small bump in a long journey. Instead of shutting yourself off from everyone, this is the time to take solace and support from your friends and family. (You will be surprised at how approachable your retired father, who has worked only for one company ever, is on the topic) Hopefully with the 4C process you will come out stronger and land that job you never knew you would like so much!